Communication at a magnet school that serves all of MNPS, Davidson County is a challenge. Please review and subscribe to our communication tools. Contact the office if you need emails and phone numbers updated. Google Sync to your smart phone or device. You must opt in to receive text reminders for the PTO. Look for sign up information in your first day folder. We purge our list at the end of each school year. We are using REMIND. Some teachers also use Remind for their classroom communications. Information will be provided by your teacher. Weekly Email Summary from the Meigs Administration. If you are properly subscribed to the Evrits List Serve you will receive this correspondence weekly. Communication at Meigs is important. For that reason we have adopted Evrits, a program that allows the administration, teachers, classes or the PTO to send e-mails to parents or students as needed. This Evrits uses a database that is also used for our schools online and printed directory. To ensure that your family’s information is correct, please log on to the school online directory, review your family’s information and edit it as needed. Forgot your password or need to create one? Follow the link below. This information is secure and is available only to the school family. Once you have signed on to the on-line directory, please check your family’s information and make any needed corrections. Sometimes it is necessary for parents to get a message to students during the school day. Please do not call your child’s teacher and leave a message, since the teacher may not check voice mail until after the end of the day. Instead, please call the main office and speak to Mrs. Forrest. They will take your message and place it on the message tack board. 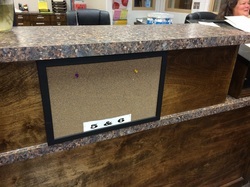 Your child will be called to the office at the end of the day during the afternoon announcements to get the message. NOTE: If you text your child, they still must come to the office and get their message. We have no way of knowing if you child received a text or their message unless they come to the office. Meigs Media Team on how the message board system works.